This new edition of a classic and popular text includes new chapters, figures and colour plates and blends practical ideas with sound principles of art education. For the teacher or trainee-teacher looking for ideas, there are plenty of tested classroom examples. For those looking for firm principles of art teaching and best practice, this book presents many important issues in art education with clarity and insight. Based on first-hand experience of teaching children, the book uses many examples from the school situation. Essential topics, such as developing skills through using media, how children draw, producing original artwork, developing ideas and digital imagery are tackled with realism and imagination. An important feature is that these subjects are not seen in isolation but are purposefully linked with other areas of the curriculum. Rob Barnes approach should encourage teachers to develop and think about art in the National Curriculum. 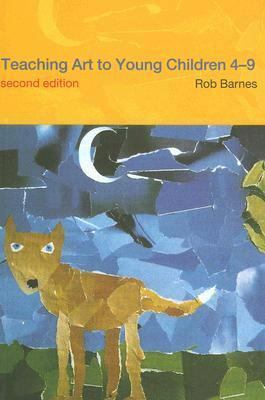 His writing shows a deep sympathy with children and sBarnes, Rob is the author of 'Teaching Art to Young Children 4-9', published 2002 under ISBN 9780415254748 and ISBN 0415254744. Loading marketplace prices 7 copies from $10.37 How does the rental process work?